The ATOM LIFE package is one of the fastest versions of Life available on any microcomputer, and will process a full 256 x 192 screen in less than 2 seconds, or an 128 x 64 screen in under ½ second. It uses the standard set of rules for survival and reproduction. These rules, though simple, give rise to a very complicated and fascinating selection of patterns. 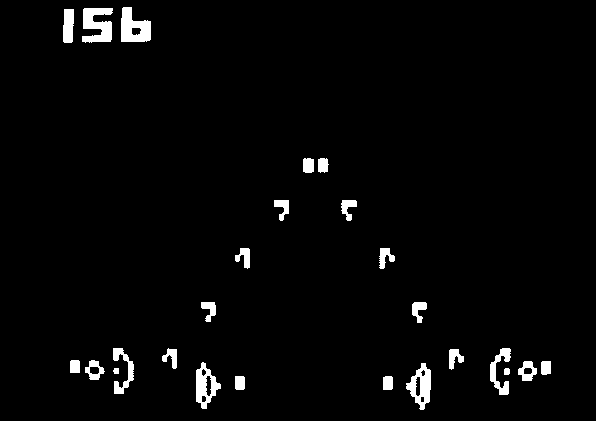 Some patterns are stable, others die out, some oscillate between different states, and some (such as the glider and the spaceship) move with successive generations. Glider, small spaceship, flying machines, glider gun, queen bee, 15 cycle, and eater. Newgun, two oscillators, a poisoned cell, and a grid pattern.